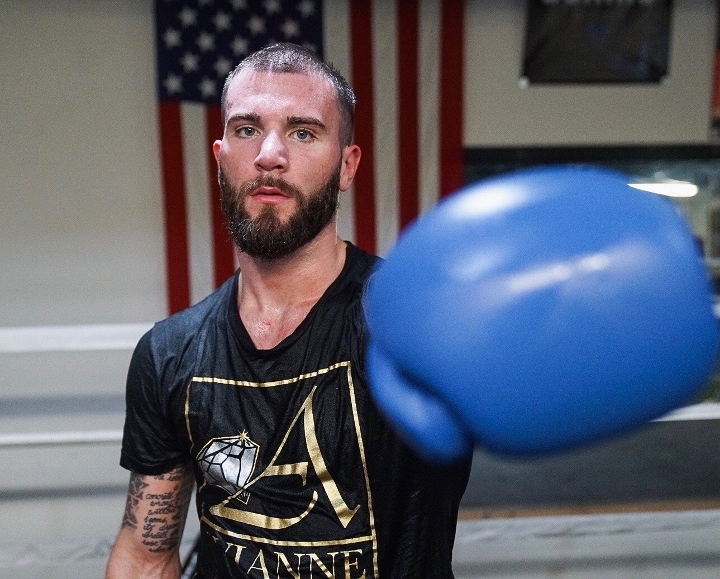 Microsoft Theater, Los Angeles – Caleb Plant (18-0, 10 KOs) pulled off two knockdowns to win a twelve round unanimous decision over Jose Uzcategui (28-3, 23 KOs) to capture the IBF super middleweight title. The scores were 116-110, 116-110, 115-111. Plant started off very well in the first with his boxing ability. In the second round, Plant scored a knockdown of Uzcategui. Plant’s movement and his jab was presenting a lot of problems for Uzcategui, who was coming forward and applying pressure. Uzcategui also had a cut open up under his eye. Plant continued to box well in the third round. During the fourth, a cut opened up above the right eye of Plant. And then Plant dropped Uzcategui with a big left hook. Uzcategui was really shaken up, but recovered and continued to press forward as Plant was outboxing him. Not much of a change in rounds five and six, with Plant outboxing Uzcategui, who seemed to be hesitant with his punches. Uzcategui may have edged the seventh with some late punches, but it was Plant who came back in the eight with solid connects. In the ninth, Uzcategui managed to rock Plant in the second half of the round. Plant was able to fight Uzcategui off. During the tenth, Uzcategui landed some big punches as Plant seemed to be winded. Plant was bleeding from his cut and from his nose, as Uzcategui kept coming forward and throwing. Uzcategui kept coming in the eleventh, pressing and trying to go for broke, as Plant was mostly moving and holding to kill the clock. The snap from Plant’s punches seemed to be a bit gone. Uzcategui was looking for a knockout in the twelfth and final round, but just couldn’t get it done.